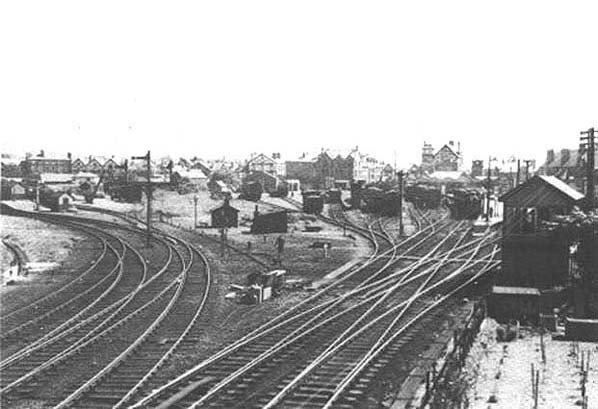 The West Kirby stations looking south in 1933. The BJR platform is seen top left. 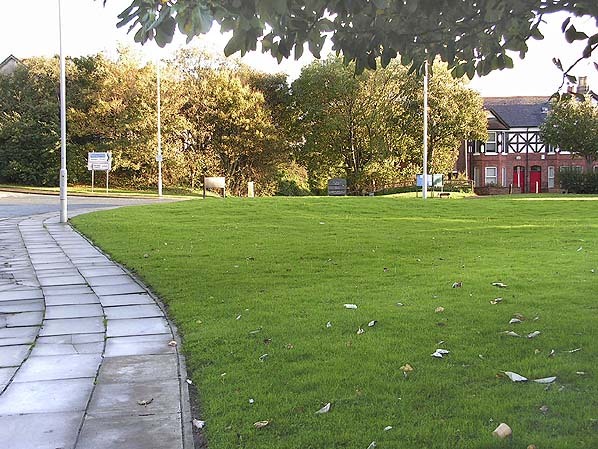 The Wirral Railway platforms (from the 1896 station) are on the right. 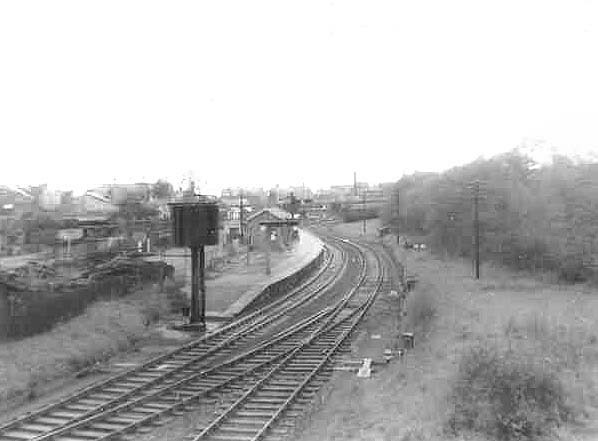 West Kirby BJR station looking north-west in October 1954. 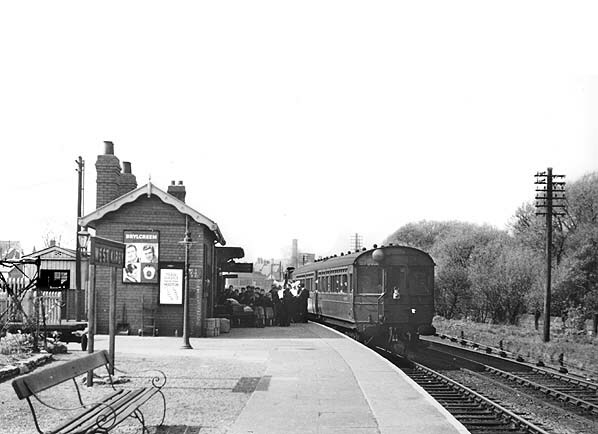 An auto train has arrived at West Kirby Joint Station in September 1954. After passengers have boarded it will return south to Hooton. Copyright photo by HC Casserley. 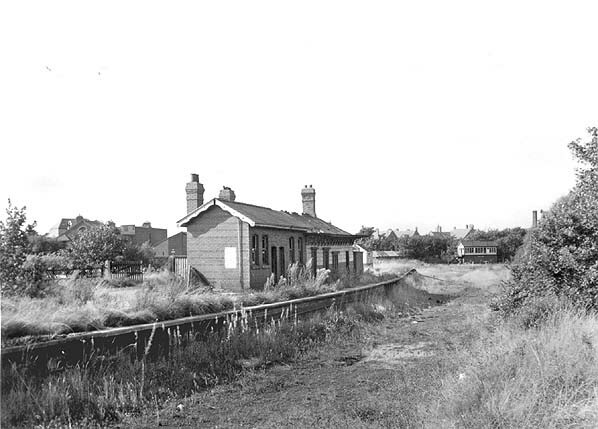 Looking north-west at the derelict West Kirby BJR station in August 1968 before it was demolished. In the distance can be seen West Kirby signalbox which was located on the former Wirral Railway line that ran to Birkenhead. The signalbox would have controlled a junction between the Wirral Railway and the Joint line that survived right up until the lines closure. 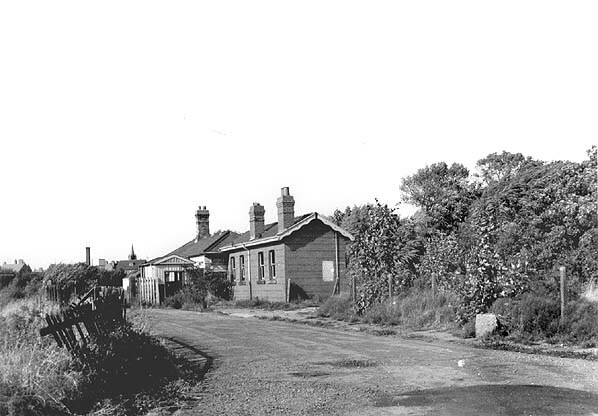 The West Kirby BJR station approach road seen in August 1968. 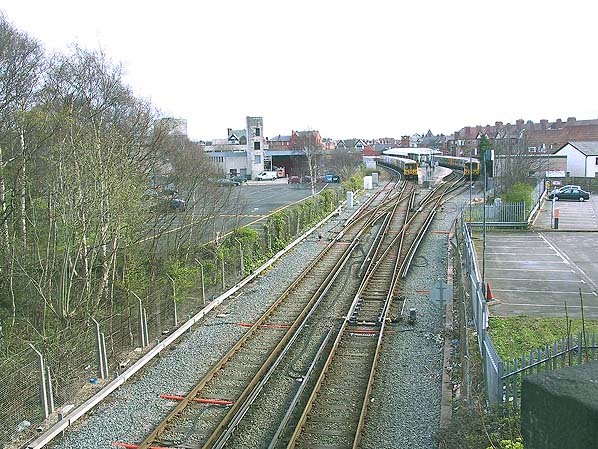 West Kirby Station (Merseyrail) in April 2005, from the same position as the 1933 picture. The Wirral Line has now become Merseyrail and the goods depot is now the site of a leisure centre. Looking south-east from the site of the West Kirby BJR station platform in September 2008. The Wirral Way starts on the far side of the road in the centre of the picture.